.. nice going , Jimmy Fallon . .. so far , so good . .. hey , he hits the spot . .. reductions in the environmental discharge of a wood – burning stove . .. yes , of a wood – burning stove . .. It is , to say the least , collusion , and to me , more like a conspiracy . The E.P.A. gets the power to regulate something that they would have no business regulating , with the reasoning that they normally could not and would not be able to use . The interest group gets to further their agenda , and eventually seed their people in the media , as well as the regulatory agency . They also get publicity , which to them can be more valuable than gold , and can be cashed in in fundraising , or from collecting from the government in terms of damages and legal fees . Sweet deal , huh ? .. This thing is nuts . Once the DemoCraps get blown out , the laws need to be updated . A more science – based form of reasoning needs to be put in the law . Climate change (i.e. , global warming) needs to be specifically taken out of the laws . More cost – benefit reasoning needs to be put into the environmental regulations , in order to keep interest groups from running wild . Sanity and predictability needs to return to regulation . .. there is also another issue that needs to be addressed . First , Section 1983 of the Civil Rights Act needs to remain , so that people can bring acts for the legitimate cases that need to be brought . Sovereign Immunity needs to return to the states . It will give the states and localities the immediate presumption of innocence . It will put the burden of proof on the plaintiff to prove fault , with a much higher standard of cause . … and they must be stopped ..
.. 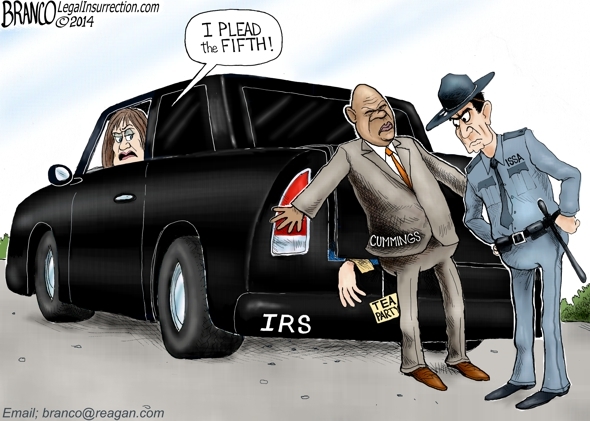 The IRS got caught with their pants down last year. So now they are writing regulations that will allow them to do legally what they were doing illegally before. Every time you think these people can sink no lower, they go out of their way to prove you wrong. A cabal of leftist groups sued the IRS demanding they adopt these regulations, whereupon the IRS went out of its way to comply. This is a classic set up. It was probably agreed to in advance between the IRS and the plaintiffs. Now that they are complying, the leftists have magically dropped their suit! .. DO NOT LET THE IRS SILENCE YOU!! That will take you to the IRS comments page where you can enter your comments. Be sure to include your name and address. 1. Rules are complex and impose huge burdens on 501c4 groups to calculate and report to IRS many (if not most) normal c4 activities…that will not be counted toward primary purpose if these are adopted. Many other possible examples and reasons. Write your own. Call your congressman! Join with other grassroots activists in fighting the IRS regs! .. to say the least . .. he has gotten away with bloody murder on his failure to “faithfully execute the laws . ” Hey , folks , it is in the Constitution , folks . .. If W. had done what Obama has been doing , the DummyCraps would be , and with good reason , for his impeachment . the GOP should think hard , and I mean really hard , about seeking Obama ‘ s given his actions ..
.. as it turns out , yea , there is more . .. for those who did not get stuff from the previous post , I will post the segments from both parts of the interview [the live part during the Super Bowl pregame show , and the taped part that was done almost immediately after the live segment ..
.. [h/t — Bill O ‘ Reilly . com] ..
.. [link1] to the Super Bowl interview segment ..
.. [link2] to the taped segment ..
.. here is an intro to the transcript for the taped interview (only part) .. [link] here ..
One of my, uh, points on the Factor is that poverty is driven by the dissolution of the American family, that is the prime mover, okay. On your watch, median income has dropped seventeen percent among working families in this country. That’s not a good record, it’s not all your fault, part of it was this terrible recession, we all know that. Everybody knows that. All right. But seventy two percent of babies in African American community are born out of wedlock. Why isn’t there a campaign by you and the First Lady to address that problem very explicitly? Actually, Bill, we address it explicitly all the time. I-I’ll send you at least ten speeches I’ve made since I’ve been President talking about the importance of men taking responsibility for their children. Talking about the importance of, uh, young people, uh, delaying gratification. Talking about the importance of, uh, when it comes to child rearing, paying child support, spending time with your kids, reading with them. So, whether it’s getting publicity or not is a whole different question. This is something that we focus on all the time. Would you say it’s been a hallmark of your administration to make that issue, because I don’t believe it has. I know you’ve given the speeches, and I know you know—understand the problem, because you’re a community organizer from Chicago. All right? But I don’t see the pressure from the Federal government to go in and say, this is wrong, this is—this is killing, um, futures of babies and children. Well first of all, I’ve just got to say, Bill, we talk about it all the time, we’ll continue to talk about it, we’re convening, for example, philanthropists and business people, city by city, who are interested in addressing these kinds of problems at the local level. There is an economic component to it as well, though. [OVERLAP] We also want to make sure that we’re dealing with some of the social issues that you’re addressing. The secret to getting a je—good job is education. And in these chaotic families, the children aren’t well-educated because it isn’t—it isn’t, um, encouraged at home as much as it is in other precincts. Now, school vouchers is a way to level the playing field. Why do you oppose school vouchers when it would give poor people a chance to go to better schools? .. now I have it ..
“Why didn’t you fire Sebelius?” O’Reilly said. He avoided a direct answer, but Obama said that people were being “held accountable.” O’Reilly subsequently questioned Obama on whether his promise that, “If you like your plan, you can keep it” was his biggest “mistake” as president. Obama used a football analogy at the end of this line of questioning, saying he was trying to not dwell on the “fumbles” and move on to the next play. “When someone is attacking our compound, that’s an act of terror,” Obama said, adding that he had used that phrase in a Rose Garden statement the day after the attack. “And they believe it because folks like you are telling them that,” Obama shot back. After some intense questioning about last year’s revelation that the IRS targeted certain groups, including conservative groups, for extra scrutiny, Obama took another jab at Fox News. “These kinds of things keep on surfacing in part because you and your TV station will promote them,” he said. .. this action was taken by a judge in response to a lawsuit . .. what is amazing is that these activist judges fail to read the Constitution , specificially the Second Amendment . They also tend to forget that the Bill of Rights , taken as a whole , is a body of law that is desgined to protect Individual rights , not collective rights , such as those of groups of so – called protected classes . .. [h/t — Liberty Unyielding] ..